Well, I certainly under-estimated the significance of this event. Spot the heritage professional on a steep learning curve! As soon as I heard that I had a meeting in Brussels, I knew I wanted to extend the trip so that I could visit Ypres. It has started to feel ridiculous and almost embarrassing that I have not visited the Western Front given all I have said and written about the interpretation and commemoration of conflict. I knew I was putting it off. I find all this war stuff hard to handle. It fascinates me, but it drains me. I had heard great things about the In Flanders Field Museum so it was a ‘if you only do one thing’ must-see (see my next blog). I booked the last remaining room in Ypres (a wonderful loft apartment ( sleeps 6) at the Holiday Home Ieper Market Square run by the lovely Din Augustus. I recommend it highly). 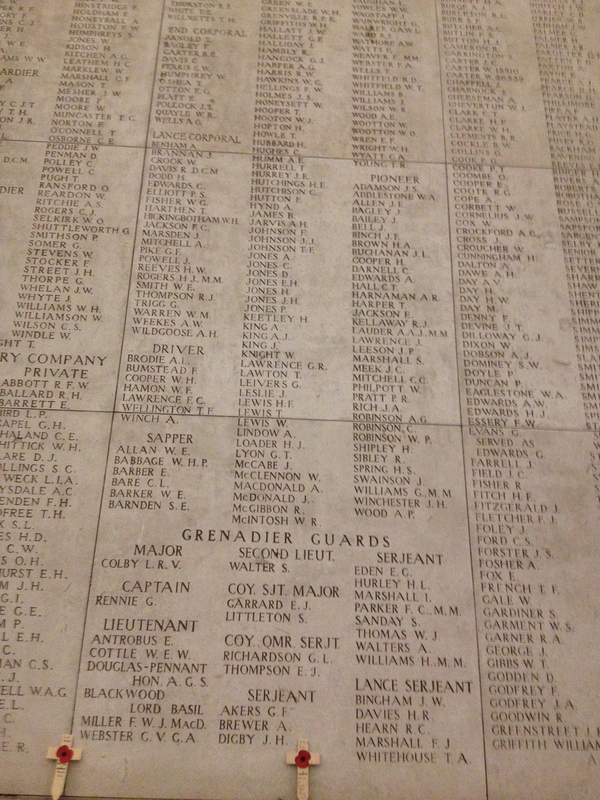 A websearch reminded me that the Menin Gate was in Ypres and that there was a daily Last Post. I pictured a lone bugle, a few people standing around and those always-haunting notes ringing out at dusk. I added it to my itinerary. 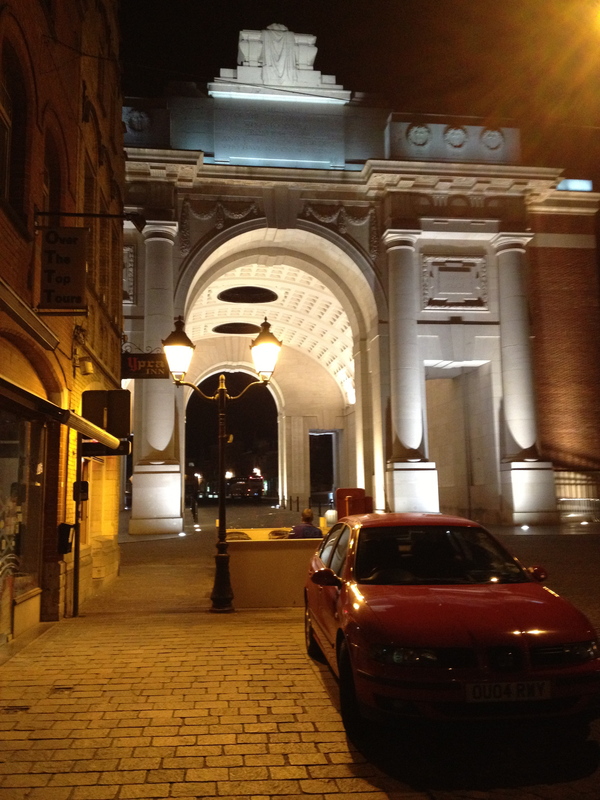 At about 1830 I wanted a stroll so wandered over to the Menin Gate. As a structure it was both bigger and more moving than I had anticipated. I hadn’t realised that it commemorated those from the Allied forces who had no named grave – lost, missing or blown to unidentifiable bits. Over 55,000 of them. Even at 1830 there were a few people standing about. By 1845, there were more and I assumed I had got the time wrong and the event must be 1900. By 1915 I realised that I had totally underestimated the scale of this event: at least 1500 people had gathered. By the time the ceremony started (punctually at 2000) the roads were closed and there was a crowd of at least 3000. This was a short, moving international ceremony. A reading in an Australian accent, laying of wreaths, Belgian monks singing, a Canadian voice to conclude. Belgians, Germans and Brits around me in the crowd. A mixture of people laying the wreaths. I checked the tributes afterwards and found contributions from the Australian government, several from British schools, and one from the ‘Ride to Wall’ bikers – I had thought I’d clocked them. These felt like personal tributes, more diverse, less precise and formal, warmer than the Remembrance Sunday ceremonials at the NMA. I found the sight of the teenagers laying wreaths powerful and emotional. Their messages were eloquent about the impact of visiting this part of Belgium. 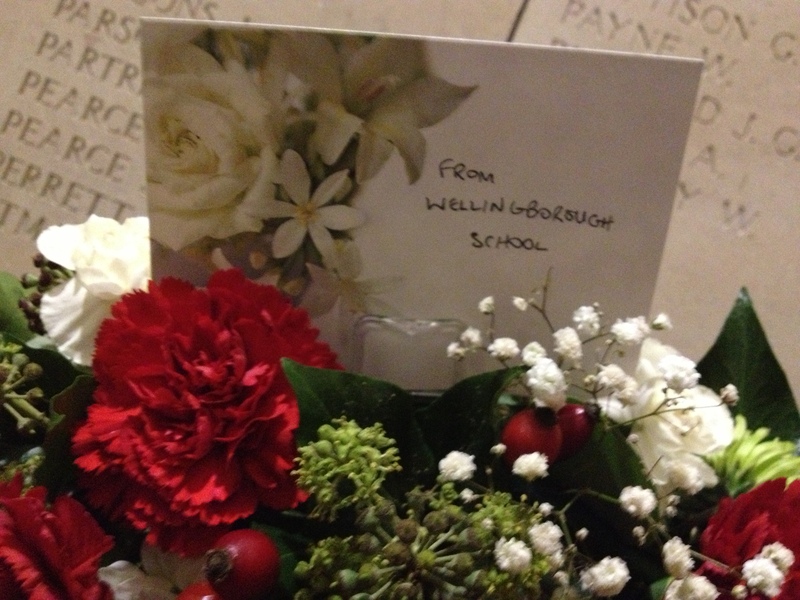 Sometimes they were thoughtful and fresh ‘we feel honoured to live in the future you made possible for us‘. Sometimes they were more familiar: ‘you died fighting for our freedom‘. I wondered again whether that is true of this war and whether these young people, and indeed the rest of us, will have an opportunity to discuss and examine that. More than anything else, visiting the Menin Gate hammered home how the waves from 1914-1918 tore across the world, through lives, through families and how they still resonate for so many people today. It may be that the memorialisation, the interpretation, the storytelling, the remembering, the reconstructions and discussions around the centenary of the First World War are the largest, most widespread and most orchestrated (and therefore to me the most interesting) public heritage event ever. POSTSCRIPT: I was very moved by Ypres and by the Menin Gate ceremonial. I woke up the next morning with a blinding clarity that the best way to mark the centenary of the First World War would be to extend the commemoration of those with no marked graves to include the Germans – rather in the spirit of Attaturk and his letter to the ANZAC mothers, that has so inspired me. Half an hour later, I realised what a crazy impractical idea that was. Four hours later I know who I was going to write to about it. 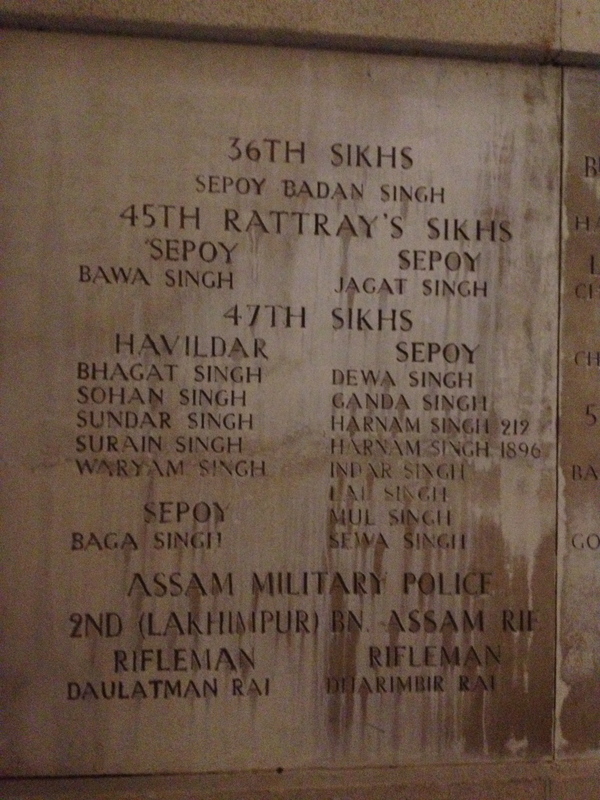 This entry was posted in Visit experience, Visitors and tagged Attaturk, ceremony, commemoration memorials, Last Post, Menin Gate, wreathes, Ypres. Bookmark the permalink.